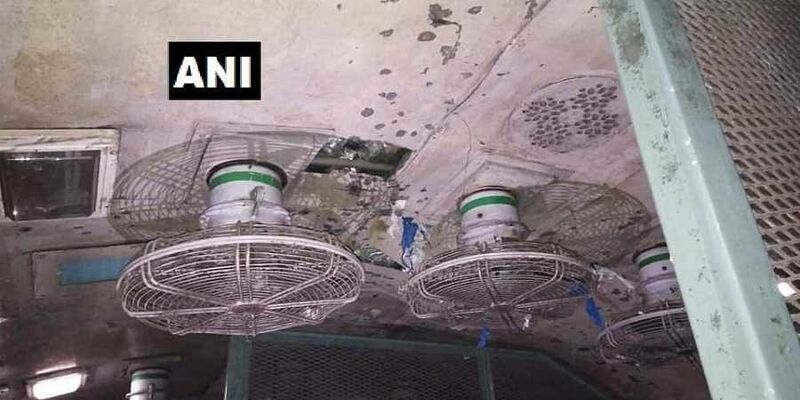 Following the blast, a portion of the coach got affected, the official said, adding the traffic on the route was not affected as two more lines are available at station. GUWAHATI: Three persons were injured when an explosion occurred in the moving Kamakhya-Dekargaon Intercity Express train in lower Assam's Udalguri district on Saturday evening, N-F Railway and police said. The explosion occurred in the luggage rack of one of the coaches of the passenger train just before it was to reach Harisinga railway station at 7. The three injured persons were taken to Haisinga Civil Hospital, a spokesperson of the Northeast Frontier Railway said. Asked if any militant outfit was involved in the incident, DGP Special Branch Pallab Bhattacharjee told PTI that it could be ascertained only investigations are concluded. He said police officials have rushed to the site and started investigation. Whether the explosion was caused by a grenade or an IED was yet to be ascertained, the DGP added. Railway officials have rushed to the site. Announcements were being made in the railway station for the passengers to evacuate from the affected train as a precautionary measure. The explosion followed the killing of five Bengali-speaking persons by suspected ULFA(I) militants in Tinsukia district on November 1. The militants also carried out a grenade attack, killing two persons and injuring several others in Sibsagar district on November 22.